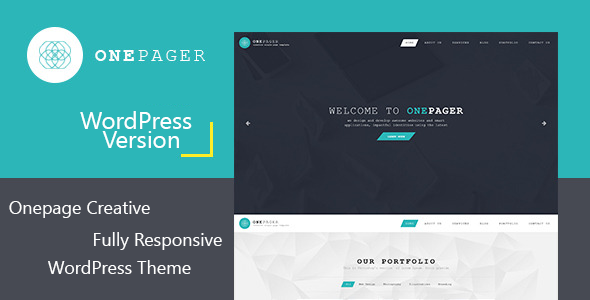 Onepager is clean one page responsive clean WordPress theme. It is great, professional and easy to use theme. You can use it for Freelancers, Portfolio Theme, Creative Agency etc. --Unlimited Google Fonts option was added. --Color select option was added on Theme Options Panel.